The home is where the word comfort is probably felt the strongest. It is a space where its residents can truly loosen up and relax their tensed bodies after a day’s worth of work. It is also where people can really have enjoyment in cooking and eating their food, because it is where they probably tasted their favorite food from their parents’ cooking. The word home has served as more than just a space of comfort and sustenance, it has always been a reason for people to do better in life— in a way making the home better. One way of making the home better is by filling it in with appliances that could make the home life easier, especially with the chores. While people try to get the most convenient and easy to use equipment. They also tend to get those items that looks good in the space it takes up. Midea, the world’s leading manufacturer of consumer appliances, understands the need for having home solutions that both satisfies form and function that provides surprisingly friendly solutions. With top-notch technology and stylish looks, Midea appliances could also easily get a space in anybody’s home. One of which is Midea’s Induction Cooker that has a sleek design which gives it a stylishly futuristic look. It could sit lavishly on any kitchen counter top and don’t take that too much space— perfect for those living in condominium units. 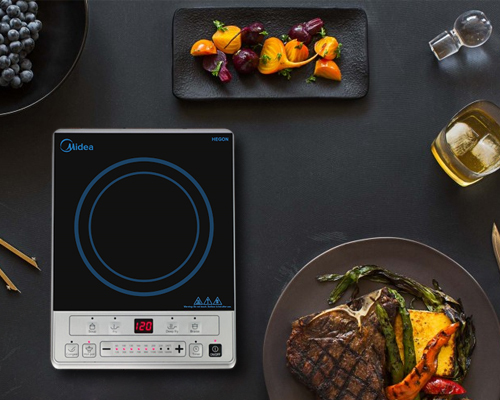 It is a common notion that induction cookers need specialized pans to cook food, but the truth is, as long as a magnet will stick to your pan there is no need to buy new sets of cookware to use Midea’s Induction Cooker. It is also easier to control the temperature of the pan, unlike with its predecessors – the gas stoves and other electric cooktops. It is easier to clean because the food only gets cooked in the pan and not on the cooker. At the same time, it won’t burn your hands or fingers, because of its flameless heating and Auto Safe shut off feature that automatically cools off the cooker. It is safe, efficient, and stylish all in one. And when the going gets tougher every day, and cooking food faster is becoming a challenge, what is usually done is putting leftover food in the microwave oven, and doing a replay of a meal a family already had. What homemakers don’t know was they can actually cook or even bake meals in the microwave oven. With just a few quick adjustments with the settings, Midea’s lineup of Mechanical and Digital Microwave Ovens could cook meals faster than the conventional way of doing it in a pan. This suits well to those who are always on the go, and didn’t have that much time to prepare their food, or, to those who need to prepare a feast real quick before their guests arrive. Aside from saving time for other things, cooking with the microwave oven makes every meal healthier, because quick cooking locks in more nutrients in the food and because it is not necessary to use oil, the food cooked in the microwave oven has 10% less fat compare to conventional frying. When it is already time to cool down coming home from work and a hearty meal, Midea has a lineup of Non-Inverter and Inverter Split Type Aircon. One of the common challenges in trying to own an aircon unit is the fear of having some insanely high cost on the electric bill. Midea responds to these challenges with their expertise and advance aircon technology. Consumers can enjoy the benefits of having an aircon for a longer time without that big cost on the bill with Midea’s Eco Mode feature and DC Inverter Technology. This allows the user set their desired temperature, while Midea does the rest on saving up on energy maintaining the ideal temperature throughout its use. 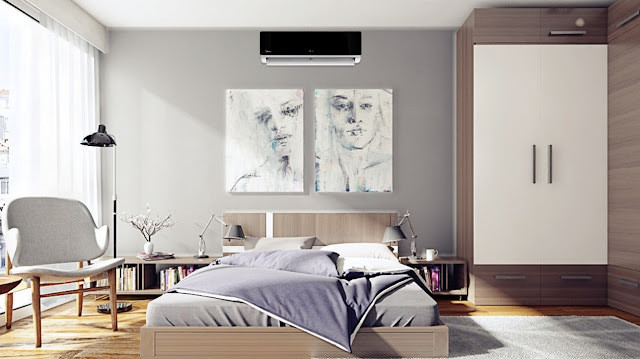 Plus, the consumers won’t need to worry about the noise while they sleep, because Midea added a Quiet Mode feature in its aircon and keep its operation silent. And another great thing, Midea gives its customers Installation Subsidy to save more on the cost of owning an aircon, given that it will be done by an authorized installer. This is just one of the reasons that makes Midea lead in the after sales warranty category in the Philippine market. Midea prides itself in providing a 5-year warranty for its compressor, which only shows their confidence with the quality of their products. And what’s even more amazing is how these air-conditioning units would look good in any room. Midea will always be at the forefront of improving their products through extensive research and constant innovation with how they manufacture their technology. This expertise in providing surprisingly home friendly solutions with high quality functionality also meets the consumers’ tasteful eye for style by making these products an appliance to behold on any wall or kitchen counter top. For more information on Midea’s products check out their website at http://midea.com.ph and Facebook page https://www.facebook.com/Midea Philippines.